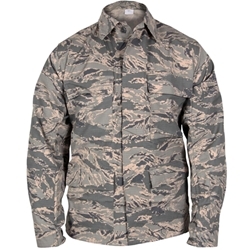 The PROPPER ABU Coat in nylon/cotton twill is an authentic military garment approved for active duty use by the U.S. Air Force. Features include reinforced elbows, three-button cuff adjustment, and a permanent press application for long lasting wrinkle resistance. Four chest pockets feature double flaps that hide the closures for a cleaner presentation. 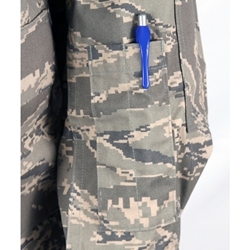 The ABU Coat also includes a two-pen pocket on the sleeve and is NIR compliant. 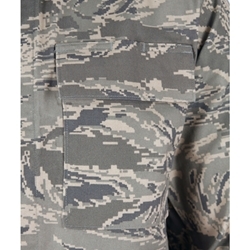 Sewn to military specification FQ PD-06-08B.